Swiss Arms Tactical Mask and Goggles |ReplicaAirguns.ca | Easter Weekend Sale! Comments: This combo Swiss Arms Tactical Mask and Goggles set provides eye and lower face protection during airsoft skirmishing. The wire half face mask is made from durable nylon material, while the ABS plastic goggles are built to withstand tough use. 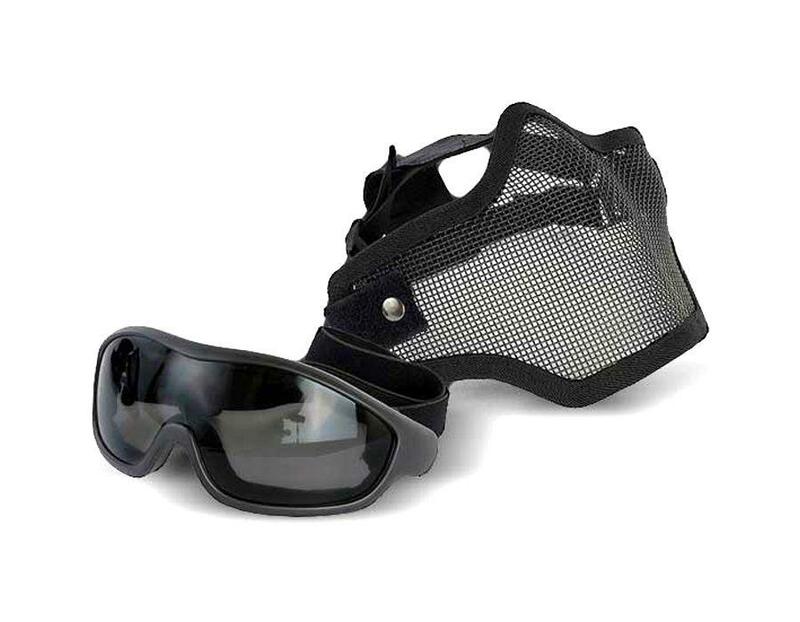 Both the mask and goggles have a formed design and adjustable elastic straps.